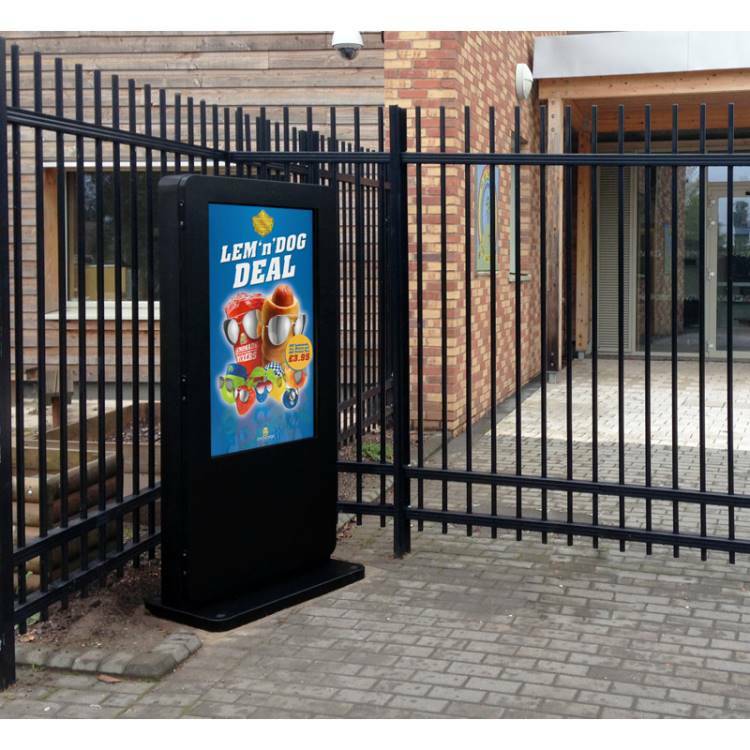 Sunlight Readable Brightness is key when using outdoor Digital Signage, our Outdoor Freestanding Digital Posters use Ultra High Brightness panels (1,500 cd/m2) more than 4 times brighter than a standard LCD panel to allow easy readability in direct sunlight. Weatherproof Suitable for the harshest of outdoor conditions - designed with a robust, corrosion protected, outer casing to give protection from both the elements and the public. The outer casing has an IP65 rating which means it keeps out all airborne swarf, dust and other particles as well as being protected from any wet weather conditions; broadening the range of possible environments. 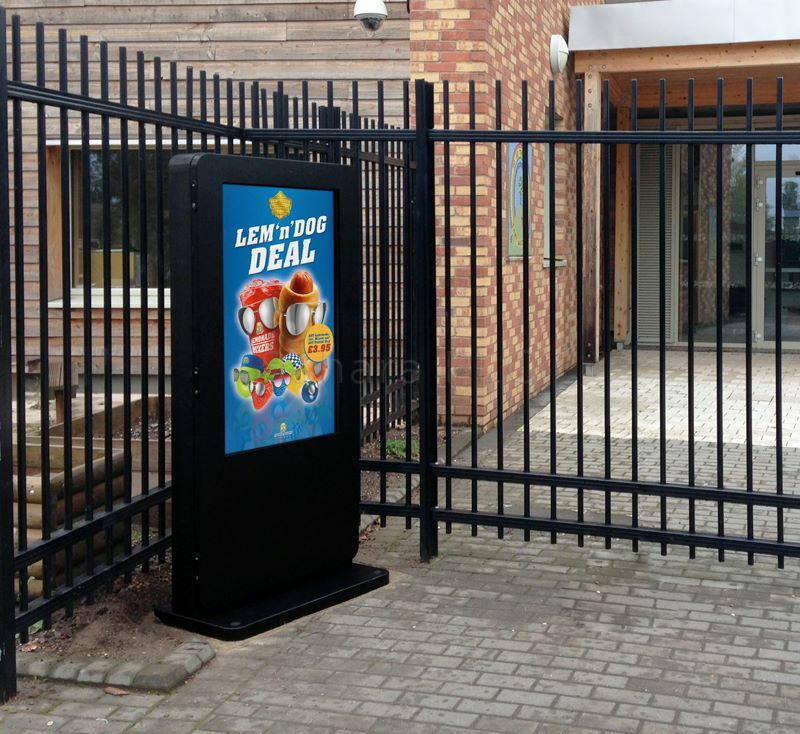 Vandal Proof The outer casing of our Outdoor Freestanding Digital Posters is made from mild steel as well as having thermally toughened glass. Controls and openings are hidden and not accessible by passersby. Smart Temperature Control System Not only are the displays able to withstand hot and cold surroundings but they are able to manage the internal conditions to maximise the life of your product. Built in air-conditioning can now be tailored to allow the display to work at an optimal level in any climate. Plug and Play The Outdoor Digital Advertising Displays come with a built in HD Android media player, allowing you to update them using a USB memory stick. Load your pictures and videos onto a USB memory stick then insert it into the display, which will copy the files into its internal flash memory. Once you remove the memory stick the screen will then start playing the pictures and videos in a continuous loop.